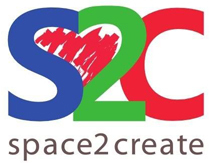 Space2Create relies on grants and donations from funding bodies and the public. We very much appreciate every donation no matter how big or small. You can now donate online using a secure payment system through Charity Checkout. Simply click on the Donate button below and you will be taken to a secure page where you can donate using a variety of cards. You will be asked for your details the first time you donate. Your donations are used to support vulnerable individuals using creative activity to improve wellbeing, raise confidence and esteem, develop new skills and engage in society after serious mental and physical illness.